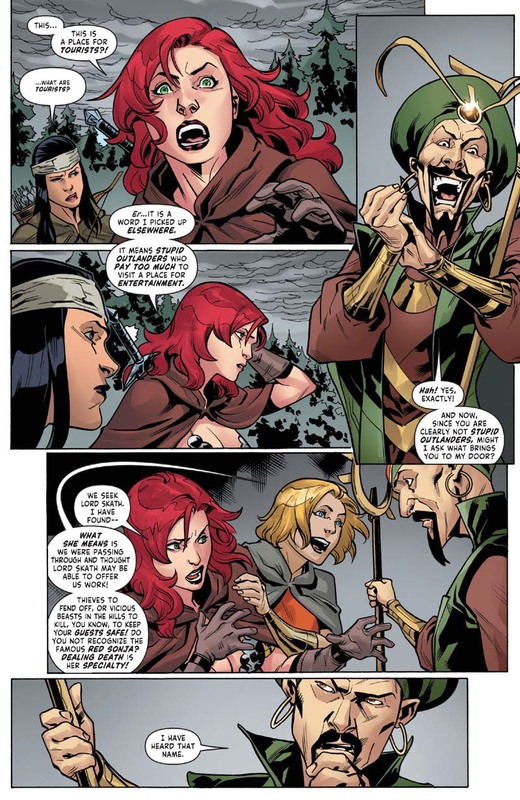 Vol.4 of Red Sonja has been bizarre, but fun. It began with evil wizard Kulan Gath transporting Sonja to our world, where we get a tiny bit chainmail-bikini-ed fish out of water stuff, then more fighting, then some nonsense, then a road trip and fighting bikers, then Sonja goes back to Hykrania via Hell. After that, she gets her unbalanced sword repaired, and the blacksmith tells her that it is the prized sword of a famous warrior king who lives nearby. 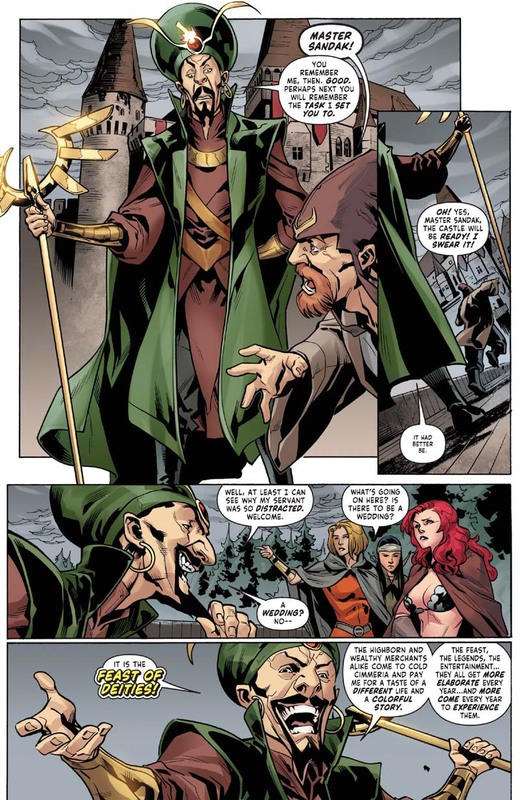 Sonja travels to his castle to return it, but finds it is under new ownership. 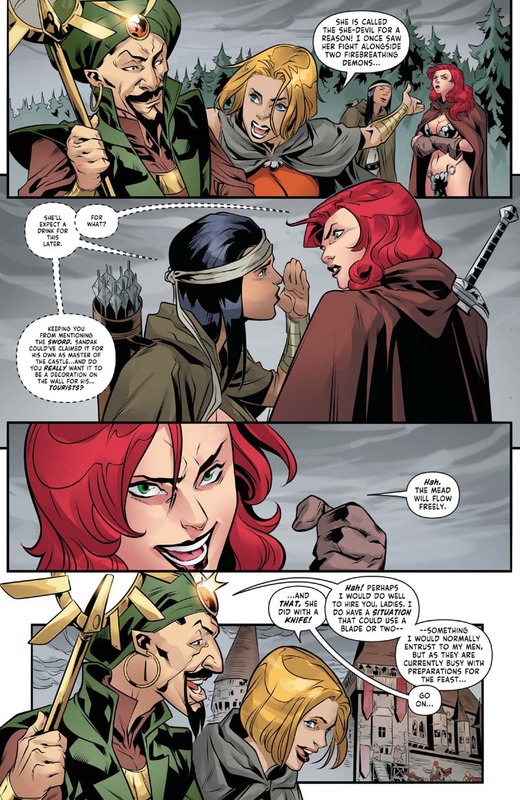 Trying to take a sword from Red Sonja does not sound like a good idea. Hum... I used to read Red Sonja when Simone was writing it, but when she left I sort of forgot about it. I had enjoyed Simone's volumes well enough, but the lack of a recurring cast couldn't keep my interest on the long-term. This looks fun, though. Does this Vol. 4 start right after Simone's run, or is there something in-between? Is it good?